While solar panel installations are not inexpensive, in almost every case they add at least their total cost to the value of the home as soon as they are installed. If you decide to sell your home, it will be very attractive to those who are interested in leaving a lighter footprint or for anyone who was thinking of going solar after they bought their new home. As they generate electricity which can be used in your home or sold back in to the public grid, residential solar panels are one of the only home upgrades that will pay for themselves over time. If you live in a very sunny area and watch your home energy consumption, you may even find that after a few years your solar setup actually begins generating a profit each month. Home solar setups typically come with a 25-year warranty so you can rest assured that your panels will be producing energy for at least the next couple of decades. Renewable energy sources like solar quality for significant tax credits and rebates which will vary depending on the city and state or province that you live in. 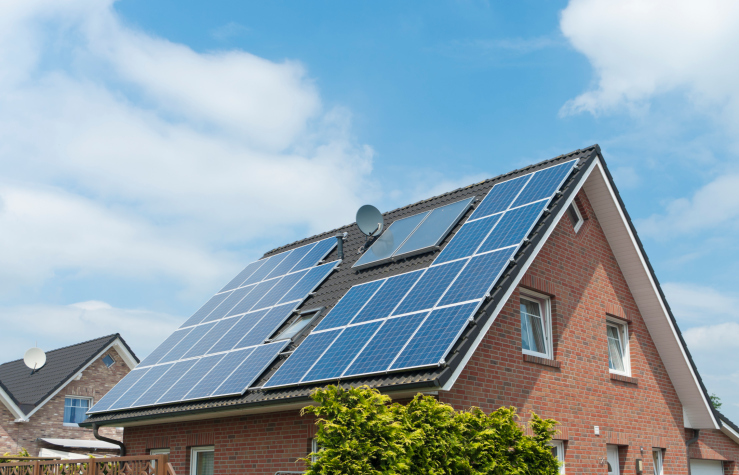 A quick web search will show you which types of incentives that you will qualify for, or you can call a local residential solar installer as they’ll be fully aware of all of the various incentives that are available. This entry was posted in Around The Home and tagged home improvement, Home Renovations, real estate by BJ Kirkpatrick. Bookmark the permalink.